Chuck just did his first book signing with author (and Bizzong! 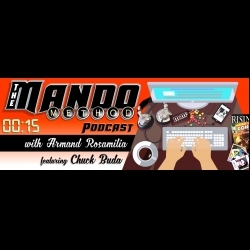 Podcast host) Frank Edler, so Mr. Frank joins the chat to talk about the pros and cons, what they did right and what they need improvement on. Lots of Jersey talk, too. Erin Sweet Al-Mehairi gives you the scoop on Pinterest during her informative Marketing Morsels segment, going deep into the hows and whys of using it as another great author resource. Then we discuss our love of Monte Cristo sandwiches for the last six hours of the podcast. Or maybe we got so excited we forgot to record during the food part.